This is a southern owned coach with LOW MILES. When it\'s not in service it is garage kept. This one owner coach would be a great addition to your fleet! It\'s loaded with all of the bells and whistles....seatbelts, outlets and woodgrain floor! Hello, I saw your listing on busesonline.com. Please send me more information about Bus 2013 MCI. Dattco's Pre-Owned Coach Sales dealership is located at 1531 Pine Ave., Orlando, FL. We carry a wide variety of pre-owned coaches. We thoroughly inspect each coach and then do the work required to delivery you a product that is ready to start earning you money. We are a dealer you can count on. 2003 VanHool T2145 with Detroit/Allison. Coach is in running condition but could use some paint, fresh interior and minor mechanical. Very clean southern coach with only 270,000 miles. New leatherette seat covers and DOT ready. 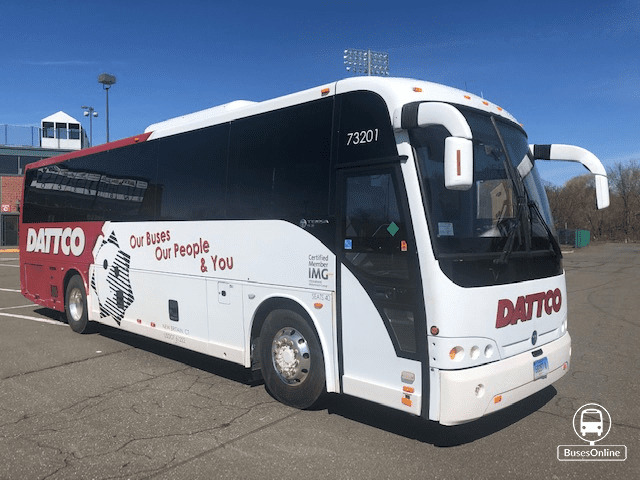 This coach has been owned and operated by DATTCO since new and has been well maintained. This coach would be the perfect fit for your smaller groups.